What is the Discovery Process and how is it Handled? The trademark of the American legal system is its standard that there should be a reduced element of surprise as it relates to the course of a legal case. The federal courts have made that decision since the 1940s where the disclosure of all related facts and documents of the case must be provided to the opposing side before the trial begins. Since then, every state must follow this lead. The disclosure of facts and documents is achieved through a systematical process known as ‘discovery.’ The discovery process includes a deposition, producing documents, and a written discovery of the related facts. The written discovery includes interrogatories and a request to admit certain evidence, facts or claims. 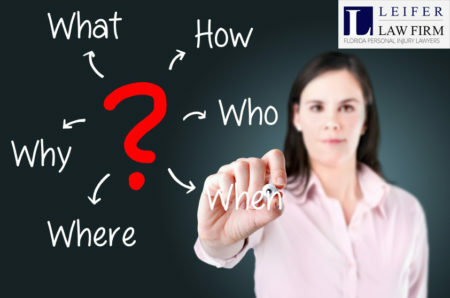 The interrogatories consist of questions that have to be answered, which includes the versions of the claims and/or facts. Where were you on January 1, 1999? Is it your position that the victim was robbed at gunpoint? Are you saying that the defendant was wearing a blue denim jacket on January 1, 1999 at 5 A.M? Be advised…If you think that the questions asked are unfair or difficult to comprehend, then this is the time when a defense attorney is important, helping you to decide on what to object. Requests for admission are rarely used, but can be very powerful in court. The requests for admission ask one party to either deny or admit specific facts of the case. If not answered, falsely answered or late answering, these can carry stiff penalties. Either party is given the right by the court to view most of the legal documents relating to the case. In cases related to product defect or medical malpractice, these documents can consist of loads of paperwork to go through. If a deposition has to be taken, then your attorney will advise you on what he or she would like from you. However, there are two things to think about. Never assume or guess anything. The reason for the deposition is to get the facts and not have you speculate on what might have taken place. Sometimes, you may have to admit that you don’t know. Secondly, you should never give a lengthy and explanatory response. Be mindful that almost anything can come out at any junction during the discovery process. So, you must be honest and forthright with your attorney concerning the facts. If your attorney is to provide the best defense in your case, you must disclose everything…everything! The discovery process can be quite long, interfering, frustrating and costly. Your life will be an open book with lots of scrutiny. You should try to maintain your cool, but your attorney will coach you wisely. Be aware…It cannot be stressed enough that you should be honest because any intentional dishonesty may eventually come out during the case and if you get caught; it could be grounds for contempt of court. Never take the discovery process lightly. The opposing attorney will do anything to challenge your storyline and put holes in it, even questioning your character at times and doing what it will take to win the legal battle. Get legal representation for your case and prevent the embarrassment of engaging in a legal fight with someone more experienced than you are.